DemoParty is our new initiative to foster artful exploration of web technologies. Starting June 1st you will be able to submit your demos to our online competition and win unique prizes, along the contest there will be several events, e.g. 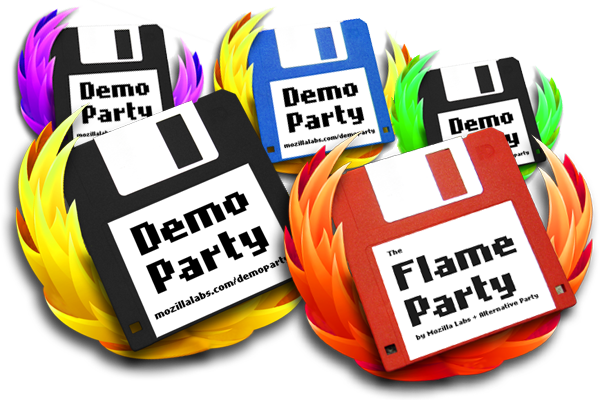 the recently announced Flame Party in Helsinki. Along the project (now till end of July) we are preparing severall community events – If you like to get involved and you think you can rally-up some good folks (HTML5 coders, Artists, DemoSceners) in your town – Contact us now and become part of DemoParty 2011! Also, if you want to go bigger than that -> Talk to us!